MBR MEDICAL BEAUTY RESEARCH GMBH, Produse de igiena si de toaleta, Igiena si frumusete - articole, Parfumuri si produse cosmetice, pe EUROPAGES. Cosmetics made by MBR are associated with innovation along with tradition, effectiveness, tolerability, functionality, reliability and durability. MBR is unique, essential, long-term and customised. The global active principle of all MBR products generates a number of epidermal, dermal and cosmetic effects which must interact to realise the perfection of this exceptional brand. The MBR philosophy, as a German TÜV-certified company, includes only using the best active ingredients with the highest possible concentration for optimum skin tolerance and strictly in accordance with these guidelines. 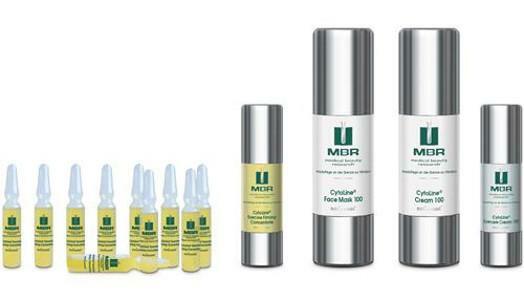 MBR is the result of intensive cosmetics research focusing on skin aging and anti-aging. The products have been and are still being developed together with recognised experts in the specialist sectors of plastic surgery and dermatology; biochemistry; toxicology and microbiology and formulation technology.